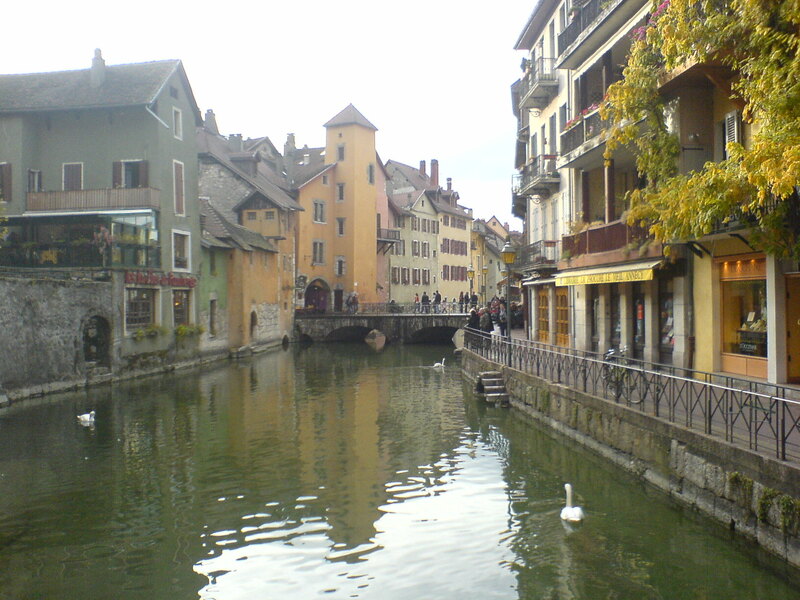 For the weekend I would like to show you another place where I’ve been: the little French town in the Alps, Annecy. You can get there in about an hour by car from Geneva which is about 40km away from Annecy on the other side of the border in Switzerland. The town is situated at the Lac d’Annecy, an Alp lake where in summer you can go for a little boat trip and close to the lake you have little canals with many boats too. Bridges cross these canals, an especially cute on is even named lovers’ bridge and you’ll find people kissing there all the time. From here you can get into the old city center with its mediaval charme, having more canals crossing the inner city. There is even a little castle in the middle of the water and many more cute little bridges. The main attraction of the city is its mediaval castle in the middle of the city on a hill. From here you can have a spectacular view on the old city. We came here in autumn but even then the city was full of flowers. There were flowers close to the lake, a huge pile of flowers growing in front of the town hall, flowers everywhere, just beautiful. If you are in the region this place makes a really nice daytrip, even just now in October or November. 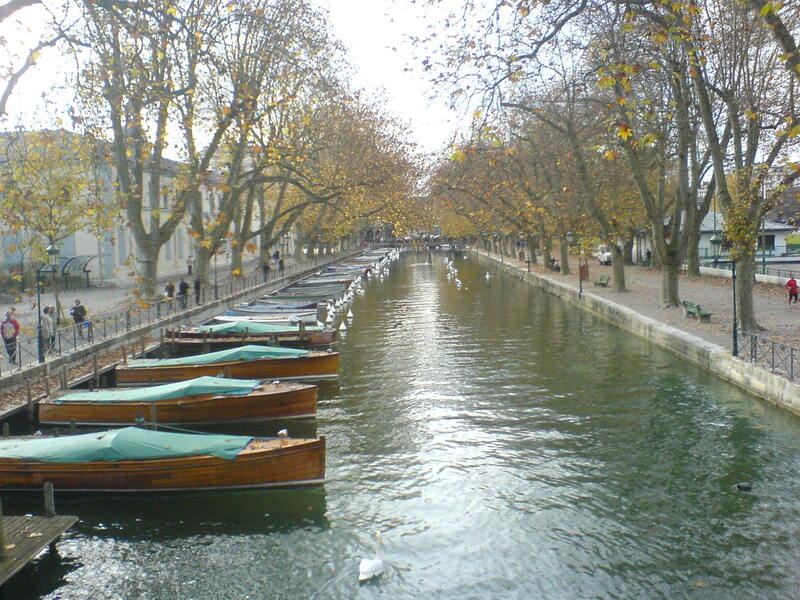 This entry was posted in France and tagged Alps, Annecy, Haute Savoie by kathatravelling. Bookmark the permalink.